When you're in a tiny cubicle sitting at a desk all day long - anything that breathes a little life into your day is welcome! 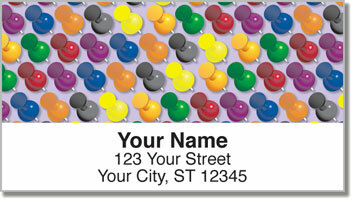 For you, it's that collection of colorful paper clips, highlighters and thumbtacks in your drawers. There's just something about having these supplies nearby that gives you comfort and even joy! Don't feel strange...you're not alone. The love of pens, pencils and staplers is not uncommon. 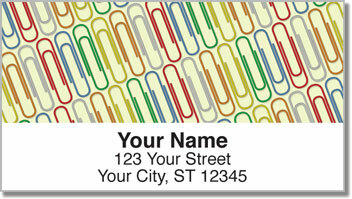 Now you can feel free to celebrate your affection with Office Supply Address Labels from CheckAdvantage. They're yet another fun supply that will add some enjoyment to your dullest of days. Plus, they'll make life a little easier too. 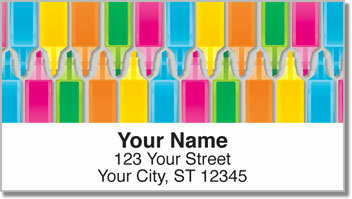 A convenient self-adhesive backing lets you prepare outgoing mail in a snap! 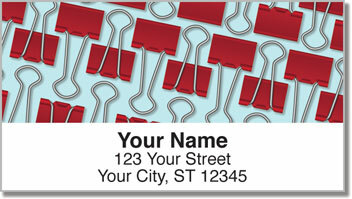 Get your very own Office Supply Address Labels today! Don't forget to add matching personal checks!